Summer is finally here! I love this time of year because it means my family gets to go on a few road trips and camping trips. 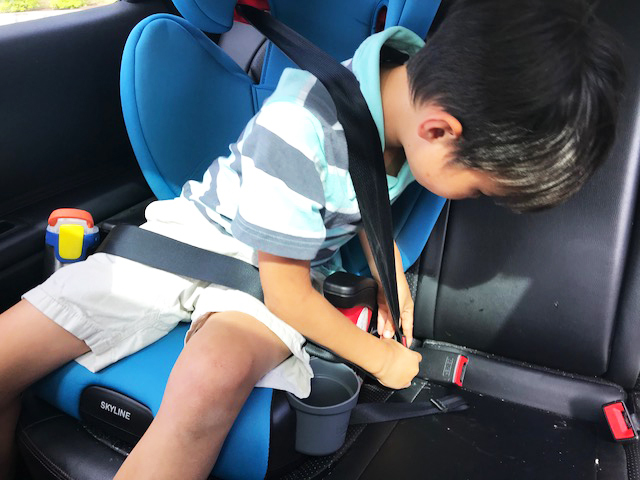 We all want to get to our destination safely which is why I recently switched over to a new Britax® Essentials™ Skyline™ Booster seat for my son. My son is seven years old. Most people would tell me he’s too old for a booster seat. Why bother. But the truth is, he’s not too old, not too tall, and doesn’t weigh too much for a booster seat. It’s actually safer to have him in a booster seat for a few more years. 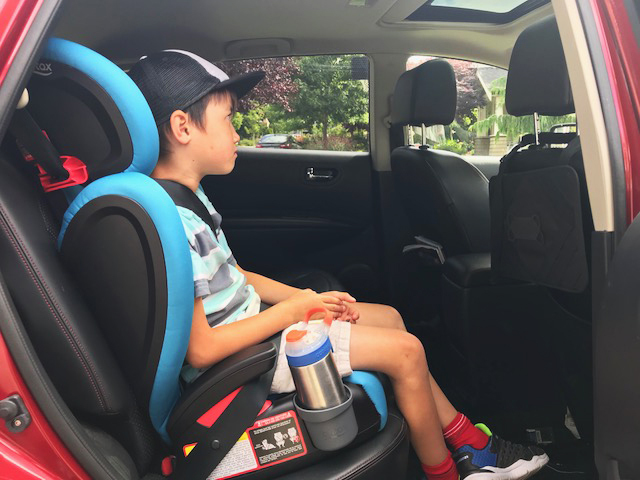 I don’t want anyone in my vehicle injured if we get in an accident, which is why I firmly believe my children should still be in booster seats. We received the new Britax® Essentials™ Skyline™ in teal. The Skyline™ booster was extremely easy to install in my vehicle. The LATCH system is very well designed and easy to use. The booster seat fits very well in my small SUV. It doesn’t take up too much room. The Skyline is comfortable and even provided a comfy spot for my son’s head as he napped during our last car trip. Most parents are familiar with the Britax® brand. Britax® has been around for 50 years and has always been trusted by Canadian parents. 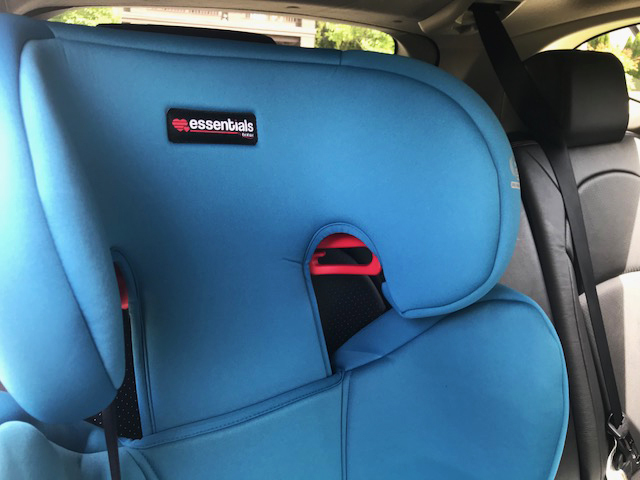 The new Essentials™ line offers car seats and boosters at value prices but still offers the same high level of protection that parents expect. There are currently three products available in the Essentials line. The Emblem™ and Allegiance™ car seats and the Skyline™ booster. 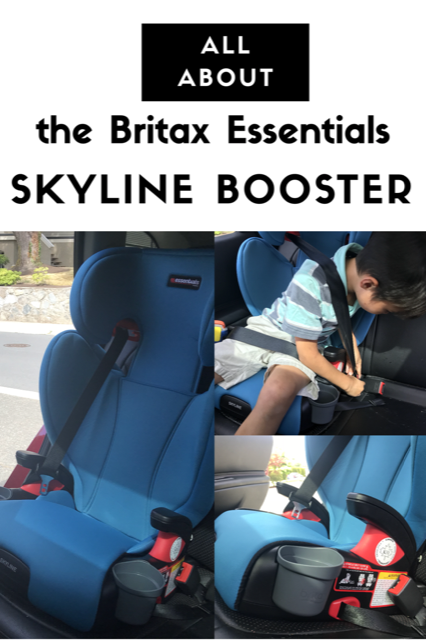 I am very happy with our new Britax® Essentials™ Skyline™ booster. 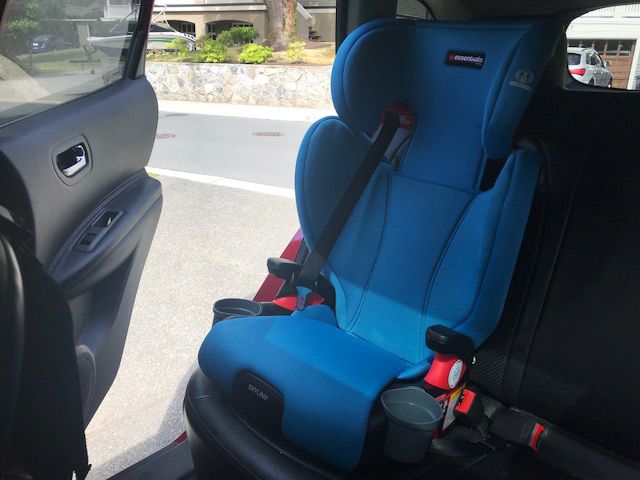 I trust that this product will protect my son if we are in an accident. Britax® Essentials™ products are now available in stores and online. You can pick yours up at Amazon.ca for only $149.99 CAD plus FREE shipping. I’d love to know when shopping for a booster what features do you look for? It looks like a great seat. I’m with you on the kids in booster seats thing. We use them too. 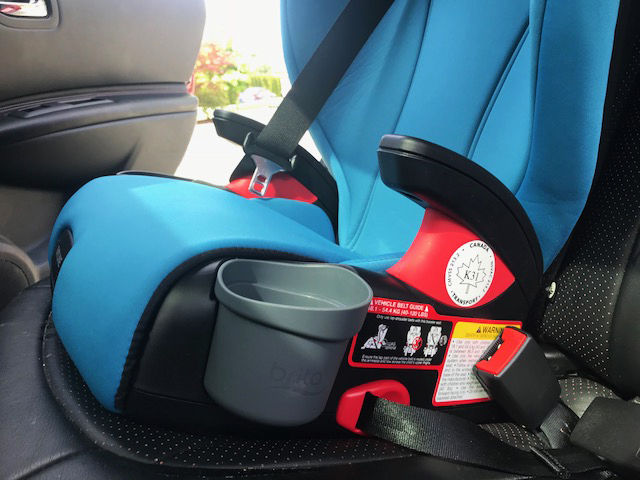 I always look for safety features and it sounds like this Britax seat has pretty good ones. 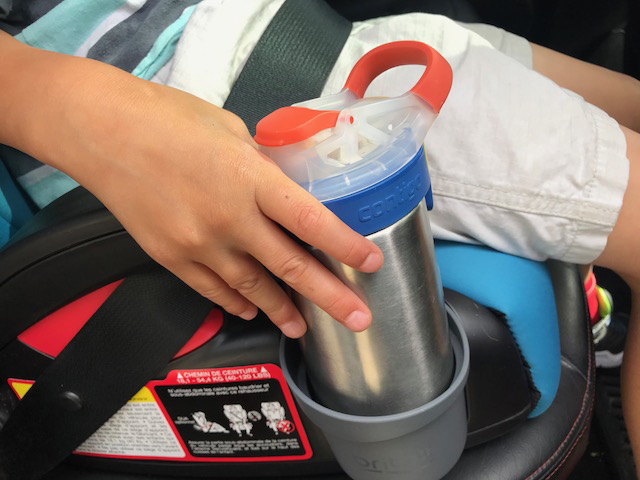 The dishwasher-safe cup holders are also a nice touch! This actually sounds like a great booster for my daughter! She’s outgrowing her current stage and I’ve been looking into Diono but now I’ll check out the Britax! This sounds like a seat that many families will be happy to purchase for their children. 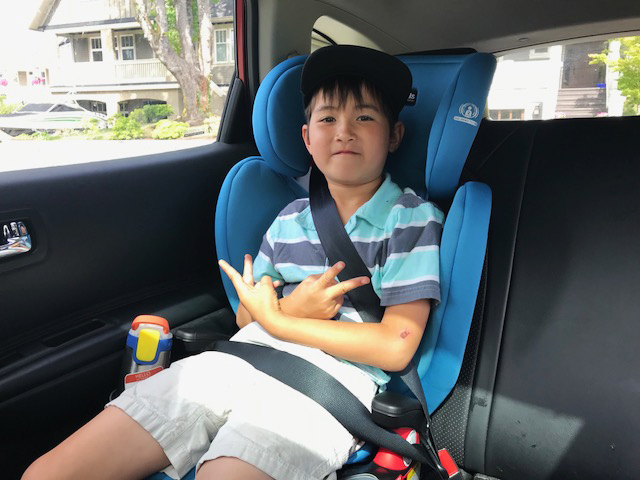 We have a Britax booster seat for our grandson, we purchased it because we really liked the safety features, and he loves it for the comfort features. I love the bright blue color and the safety features. looks like a great fit for him! when we started looking for a HBB booster we first looked to the brand she has grown with. shes had a Peg for her infant seat (the only one on the market at the time that went down to 4 pounds) and for her convertible car seat we went to Peg again. at 5 she is now completey over the weight and height limit for a 5 point harness and i had to move her into a HBB much sooner then i would have liked to. so glad the peg HBB had everything we needed. something with awesome SIP, something she could grow with until she was out of a booster entirely. something easy to travel with (it comes apart in two pieces i can slip into each suitcase for the skytrain ride to the airport!) and most importantly it had extremely high safety ratings! They grow so fast! Thank goodness there are awesome products on the market to keep them safe!